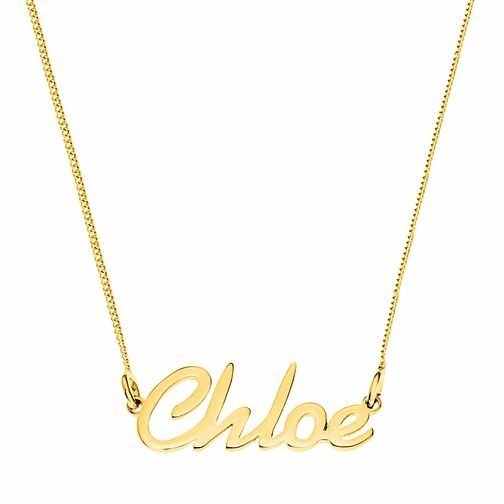 Give your look a personal edge with this "Chloe" nameplate necklace in an italic font. Created in luxurious 12 carat gold plated silver, this necklace is the perfect sweet accessory to compliment any style. This nameplate pendant is set on a 16" chain with a 2" adjustable clasp. To personalise this design with a different name, please visit or contact your local H.Samuel store.